What is Influencer Marketing and what makes it effective? Consumers have become smart and so as their choices and purchasing decision. They no longer decide on what products to buy just by seeing an advertisement on television or reading a promotional message. Consumers tend to refer to the feedbacks and recommendations of people who have actually experienced the product. They perform their own research; compare the features and prices of similar products before finalizing the product. Traditional marketing techniques which involve billboards, banner ads, ads on television are not only expensive but have also become ineffective in attracting the customers. Marketers were looking for some innovative marketing strategy that could enhance brand awareness and engage more potential customers. And that’s exactly what they got through an effective marketing technique known as Influencer marketing. It’s a new buzzword in the world of digital marketing which possesses all the characteristics which marketers were looking for enhancing their business. An influencer is someone who has a massive following on social media platforms. They are people who possess the power of influencing others perception about something and can convince their followers to buy from any specific brand. They have established a long lasting trust with their loyal followers and any product information shared by them is more likely to attract their fans. Influencers are very careful about what they share with their fans as they value their trust because of which the views shared by them are always honest and genuine. Few examples of influencers include an IT executive with a huge following on LinkedIn, a blogger with a good count of regular readers or a photographer being followed on Instagram. Macro Influencers: These are the ones who are famous and are well known in the world. They could be Musicians, Actors, Prof. Athletes, Business leaders. 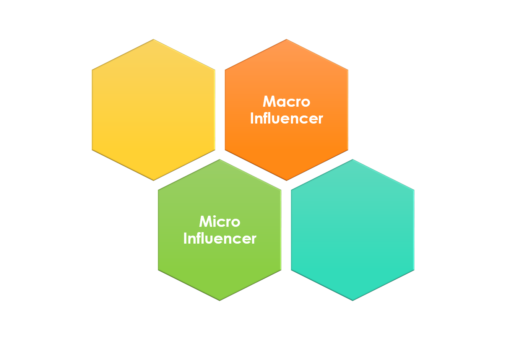 Micro Influencers: They are non-celebrities and may not have huge followers but are experts in certain fields and can give a high engagement rate, motivate their followers to take action. What makes Influencer Marketing effective? One simple reason which made the concept of influencers a success is that we as consumers tend to trust the recommendations coming from others a lot more as compared to the brand itself. Any positive feedback about a product which comes from other consumer is likely to change the perception of others. Influencer marketing provides an opportunity for the marketers to target the consumers through a trusted voice. It’s an effective marketing strategy for the promotion of a product, increasing brand awareness, enhancing user engagement and improving the SEO. Marketers have realized the potential of influencer marketing and have begun to allocate more budgets for the same. Also, they are now more vocal about being working with the influencers. Earlier, brands were reluctant in disclosing their relationship with the influencers which isn’t the same anymore. The partnership between the brands and the influencer has become more transparent. In fact, as per the guidelines from FTC, every content posted by the influencer must clearly disclose that it’s a sponsored content. Larger Reach: As influencers have a massive fan base, any post shared by them reaches a larger section of the engaged audience, who might turn into potential customers. It’s a key reason why influencers are being targeted by the marketers as it gives them the opportunity to increase their brand awareness. Knowledge of the brand: Influencers doesn’t work like a celebrity, they don’t believe in blindly endorsing or pitching for a product which they have never used or doesn’t know about. Rather they are honest and focus on gaining in-depth knowledge about the product, insight about the history of the brand and the work culture. They are very conscious of what they share as they don’t want to mislead their followers. Engage the audience with interesting content: Just hiring an influencer doesn’t guarantee success for the brands. Content which is being shared with the audience plays a key role in attracting them. Both the influencer and the brand must focus on producing authentic and engaging content. Influencers must be good at crafting content in the form of storytelling and must avoid using boring videos and pictures. Enhance brand positivity: For a first time consumer to turn into a repeat customer, the brand needs to win their trust. Brands want to maintain a positive image in the market and influencers are experts at enhancing positive sentiments of the brands among their followers. They ensure that whatever brand information they share, it must contribute to building a positive environment for the brand. Higher Engagement: One key characteristic that each influencer must possess is the ability to persuade others and influence their perception of a brand. They must have great salesmanship and should be able to convince others. Effective in driving sales – Influencer marketing is capable of bringing more sales due to a simple fact that word of mouth advertising is twice as effective as traditional marketing. Consumers tend to refer to other customers prior to making any purchasing decision. And as the voice of influencer is trusted by their followers, anything that is endorsed by them is expected to bring in better sales. Improves SEO: IM not only promotes brand awareness but also increases visit to the websites. With more and more mentioning the Brand name in their post, substantially improves Google ranking and brand shows higher in Search results. Compatible with multiple social platforms: It’s not only limited to Instagram, but other platforms like YouTube, Facebook, Snapchat, Pinterest can also be utilized for running IM campaigns. Instagram although is the most widely used platform for running such campaigns. For smaller brands, getting an influencer may be expensive so they can target an audience on other social platforms. Higher Return on investment: As per the data received from the brands who have already worked on IM campaigns, on an average for every 1$ spent they earn almost 6.50$. 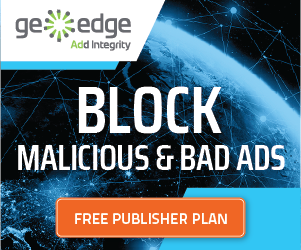 That’s a massive return considering that this new marketing technique is still finding its place in the market. The primary reason for such higher returns is the effectiveness of IM in terms of higher engagement that it brings for the marketers. The conversion rate goes considerably high when using IM technique as opposed to the traditional one. If you as Marketer plan to run an influencer marketing campaign, there are certain key pointers to be kept in mind for attaining desired results. Identify relevant influencer– Choosing an influencer just by looking at the count of the followers on a social platform is not the ideal parameter. Of course, the fan base is vital but the interest of the audience also plays a key role. The audience must relate themselves to the Brand and its product. For instance, the followers of an influencer from the fashion industry are more likely to be interested in cosmetics rather than vehicles or novels. Strategies of content creation– Hiring the best-suited influencer is just the beginning. Content displayed to the audience is the most factors that decide the success of the campaign. Marketers must Sit down with their influencer and plan on the type of content which would be created, how frequently would it be created and who would do it. Sometimes the influencers prefer creating their own content for promoting the brand. If that’s the case, they must be given the freedom and the marketer must ask them to create something that’s engaging and fresh. Have a clear objective – Marketers must have a clear goal which they are aiming to achieve through IM campaigns. They must plan on what is it exactly that they are looking for, it can be brand promotion, getting higher sales, higher user engagement, awareness about a new product to be launched. The clear objective is vital for crafting content that aimed to achieve the desired goal. Define clear metrics and measure it– Mere running a campaign doesn’t guarantee success. Unlike traditional marketing, we can define metrics to measure the success of campaigns. Every like, click, share or a visit to the website can be tracked. Marketers must focus on measuring the parameter which clearly defines the performance of their campaign. I feel this article is incomplete. The rates mentioned don’t have a context and oversimplify the pricing. Also, the pointers lack actionable information and don’t even mention fraud, please add those bits. Thanks for your feedback. This article covers the initial understanding of influencer marketing, there is a PPT and PDF which covers everything extensively though haven’t shared them. We will try to add the same.